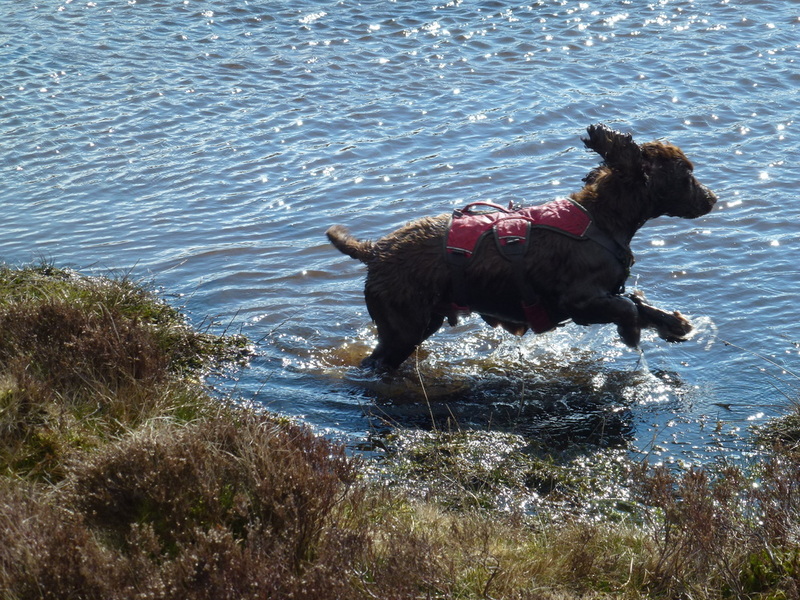 Angie still absent without leave looking after her Mum therefore just Fudge and I today although I was in good company with Team Chips along for the ride. 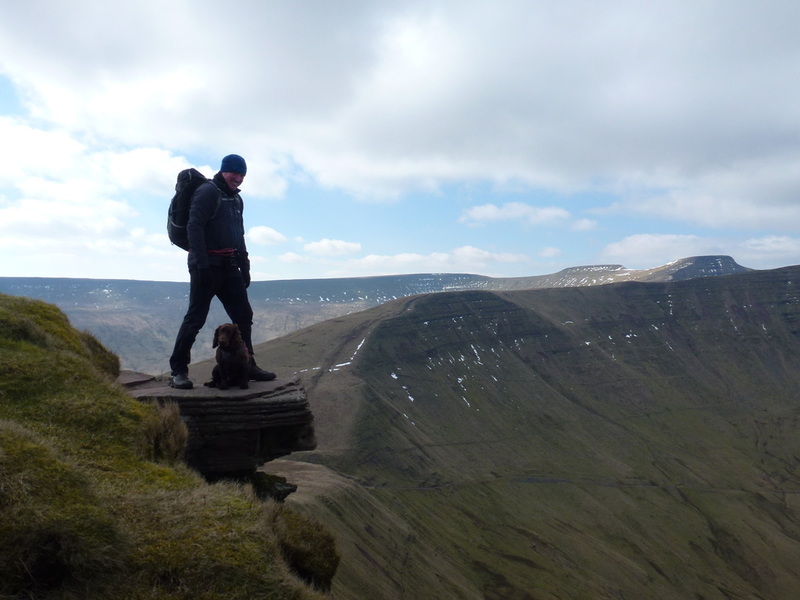 When this walk was suggested to me by my walking partners I couldn't wait to get out there and do it. 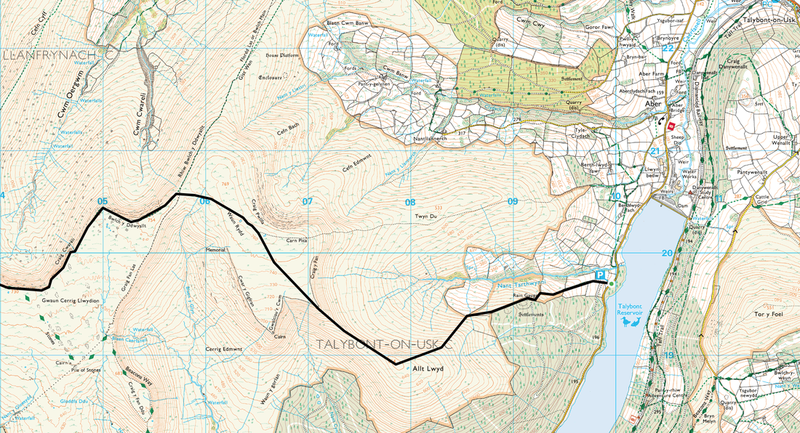 I know this area very well and whilst I have walked this route many times I always feel a sense of excitement each time I take it on. 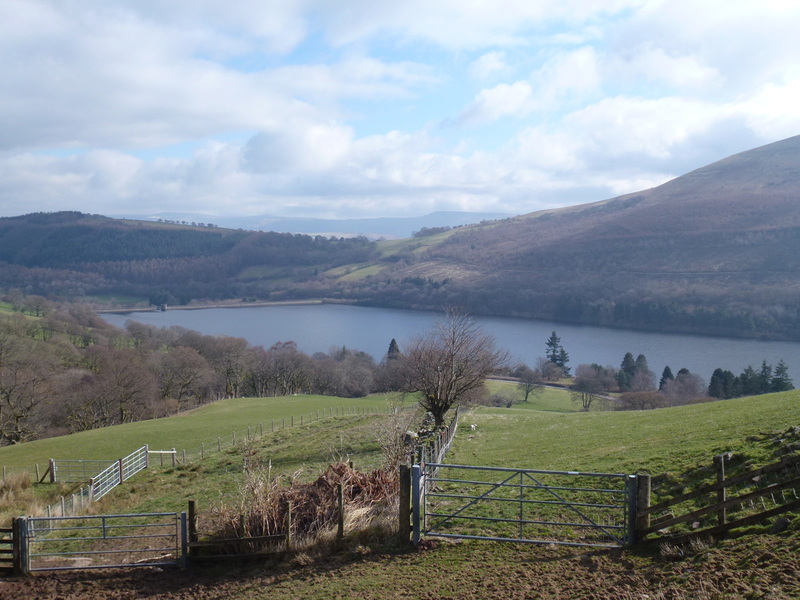 We decided to make this a linear walk therefore we left one car at The Storey Arms and drove over to Talybont where the walk started from the Car Park to the south of the Talybont Reservoir Dam. 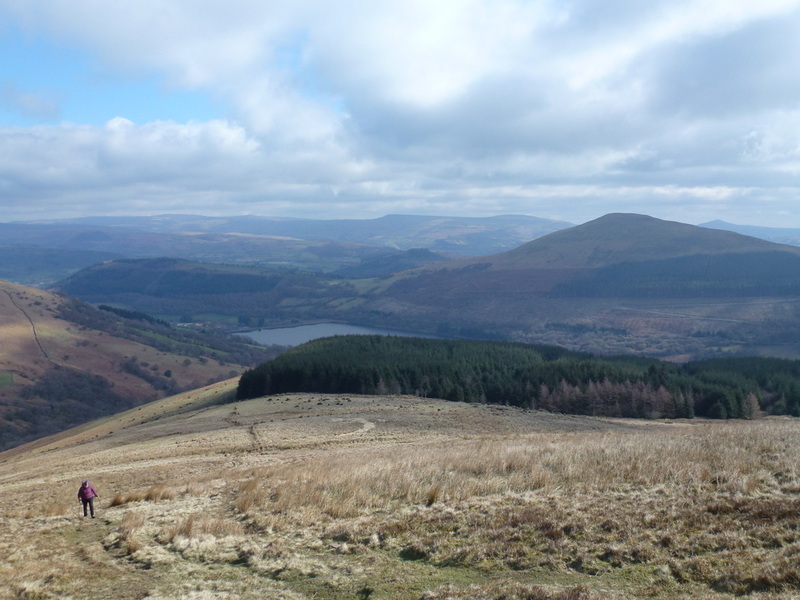 Almost immediately the route rises on a good path to reach the top edge of the Talybont Forest from where it becomes open hillside. 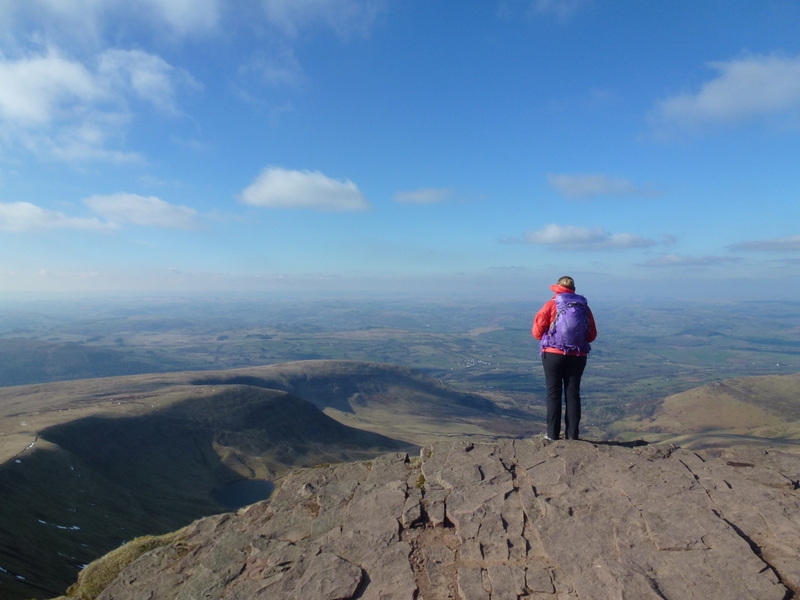 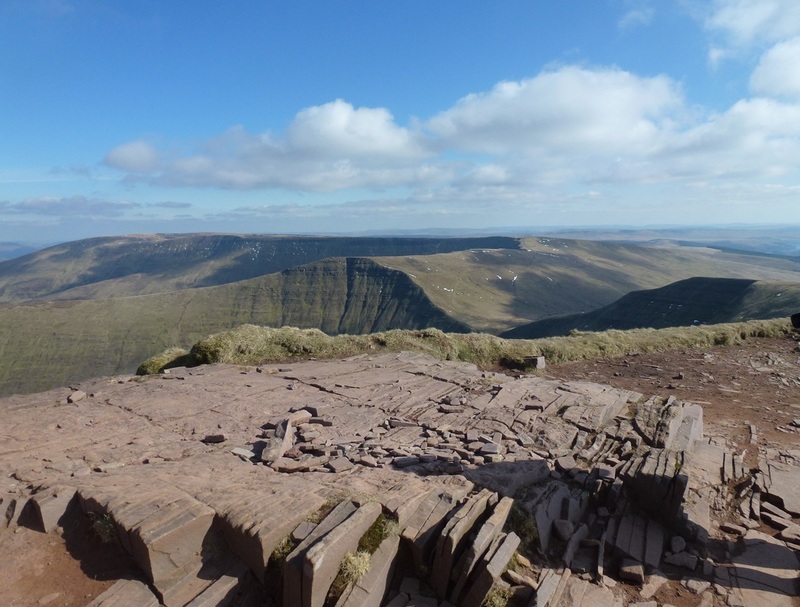 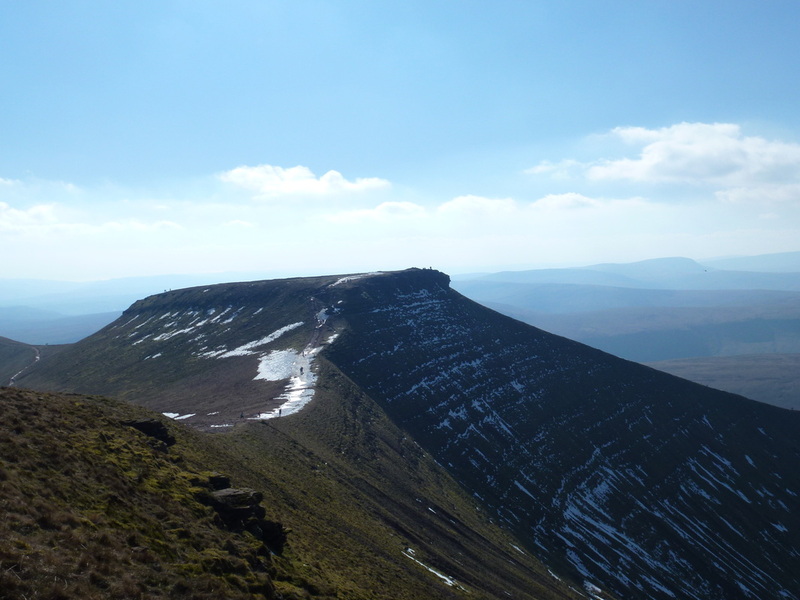 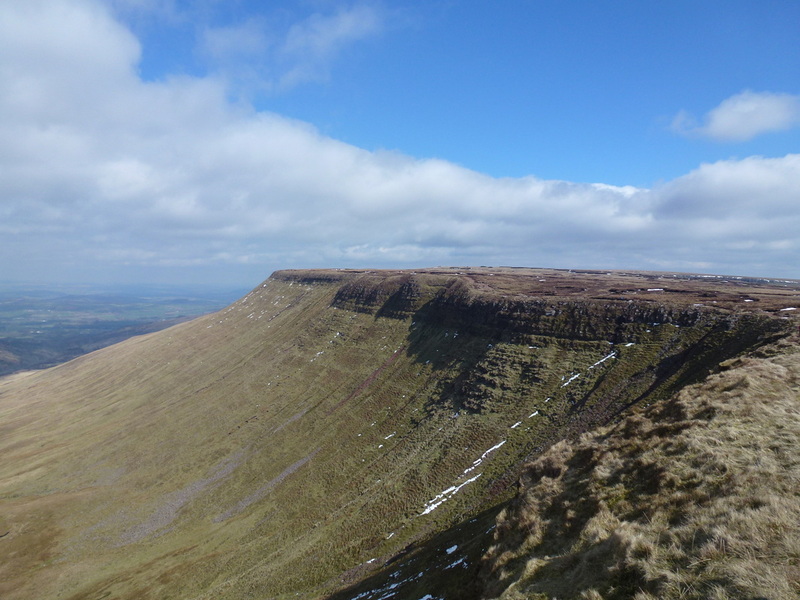 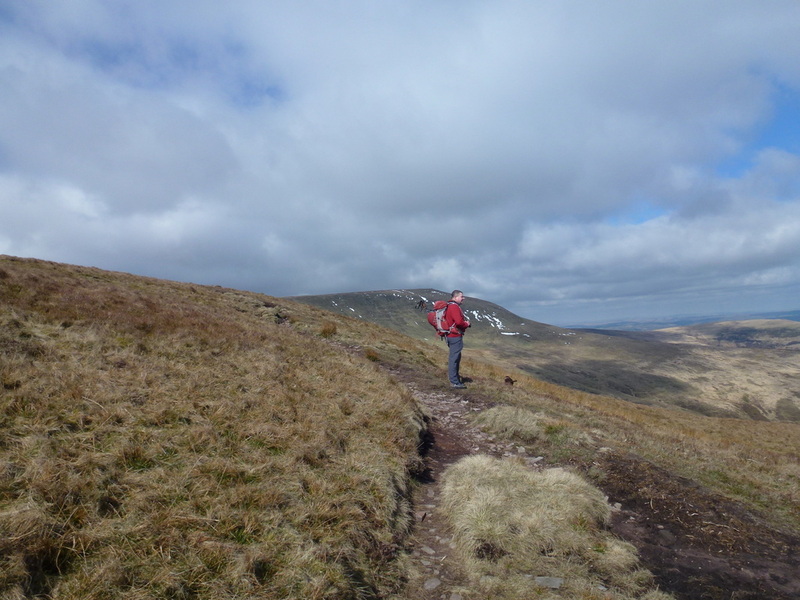 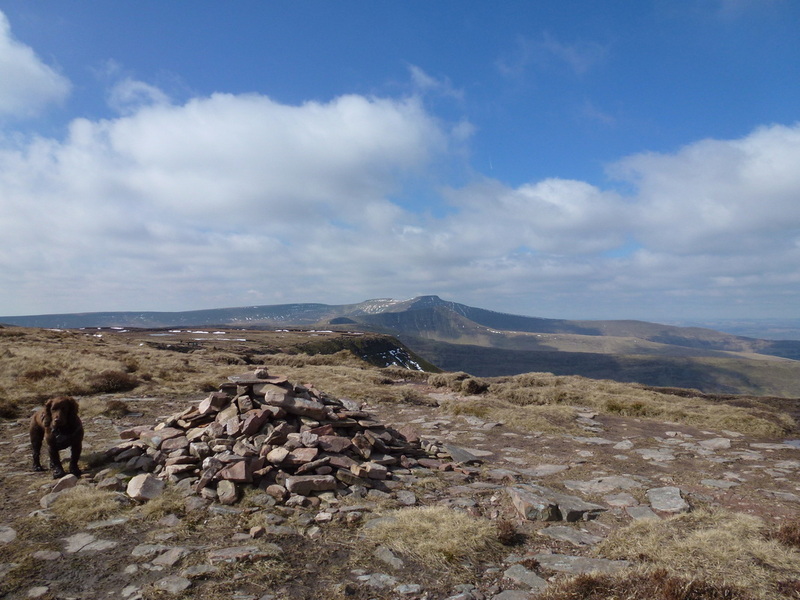 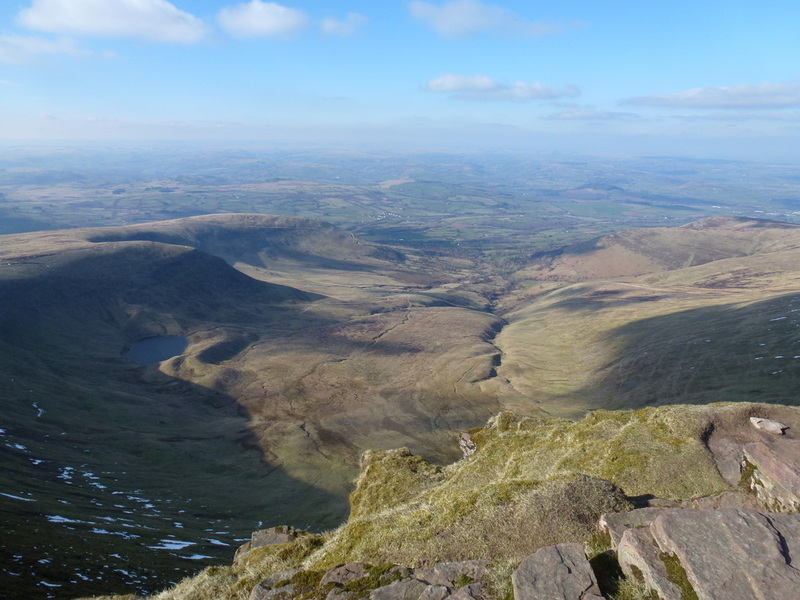 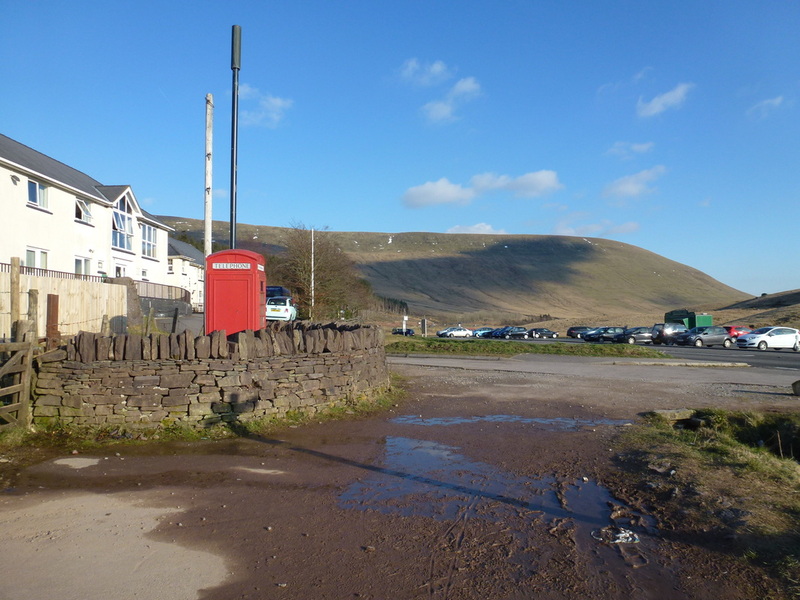 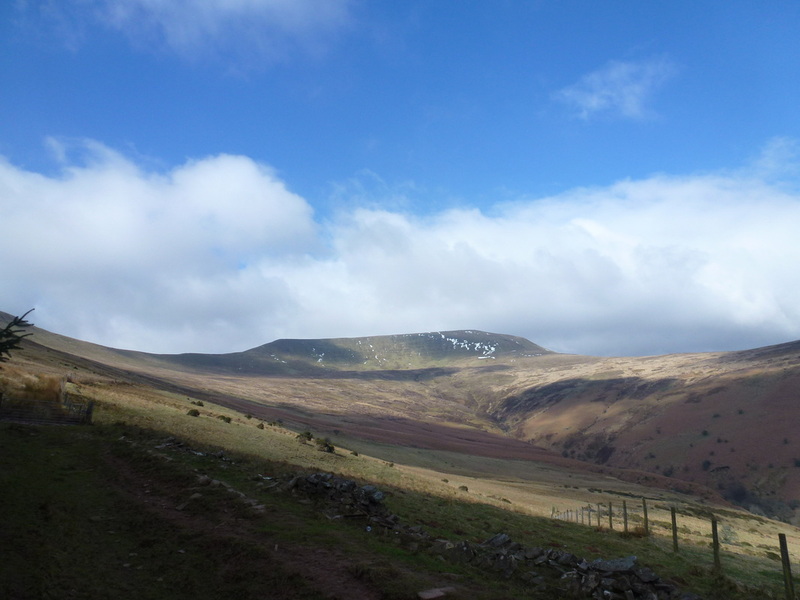 The gradient steepens markedly after the forest until the summit plateau of Allt Lwyd is reached - there is a great view over to Craig y Fan from the summit. 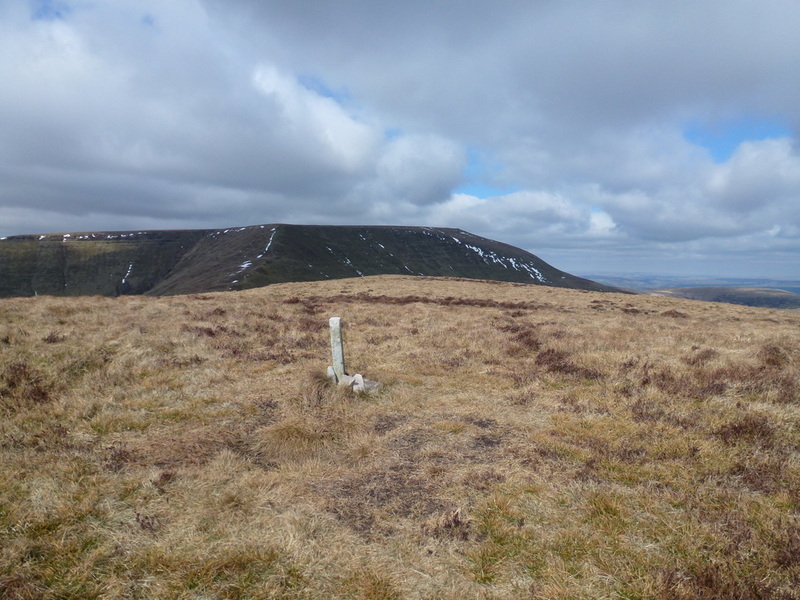 From Allt Lwyd the path leveled out before a short pull up to reach another plateau from where roughly 3/4 mile distant was the summit of Waun Rydd - there is a requirement to leave the main path in order to reach the summit cairn. 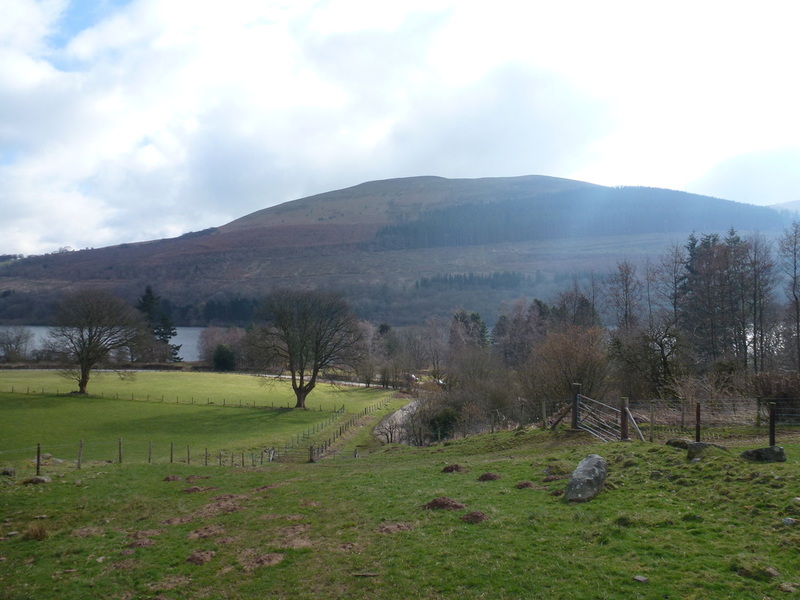 It was good to stop here a while and take in the beauty of the surroundings as there are superb views to be had. 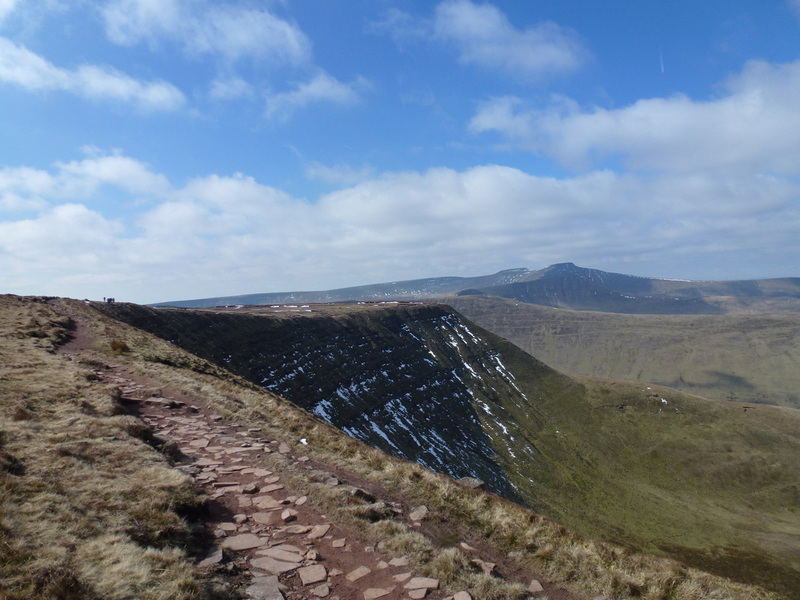 From Waun Rydd there now began a high level walk along the escarpment bagging the summit of Bwlch y Ddwyallt before making the transit to Fan y Big via Craig Cwareli & Craig Cwmoergwm, the latter of which leads to the summit. 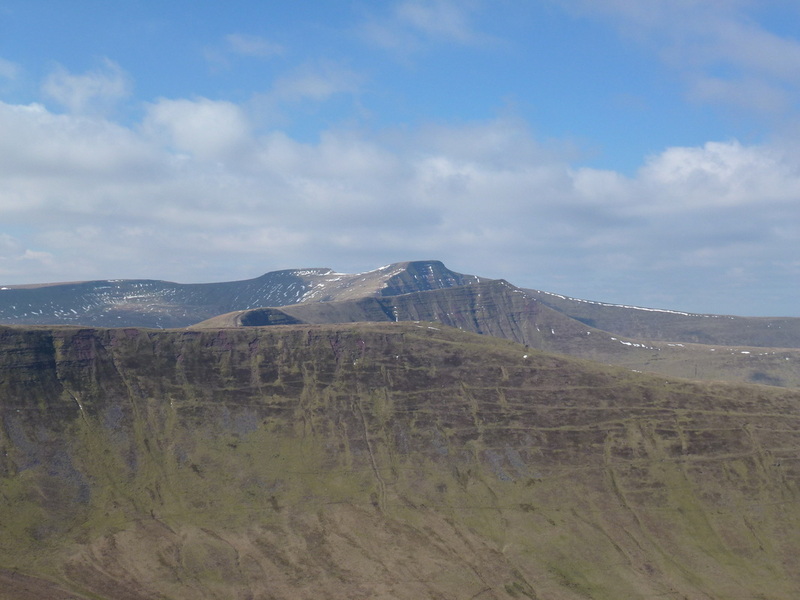 The summit was very busy; as it was all day to be honest therefore we did not hang about, pausing only for photographs on the famous diving board. 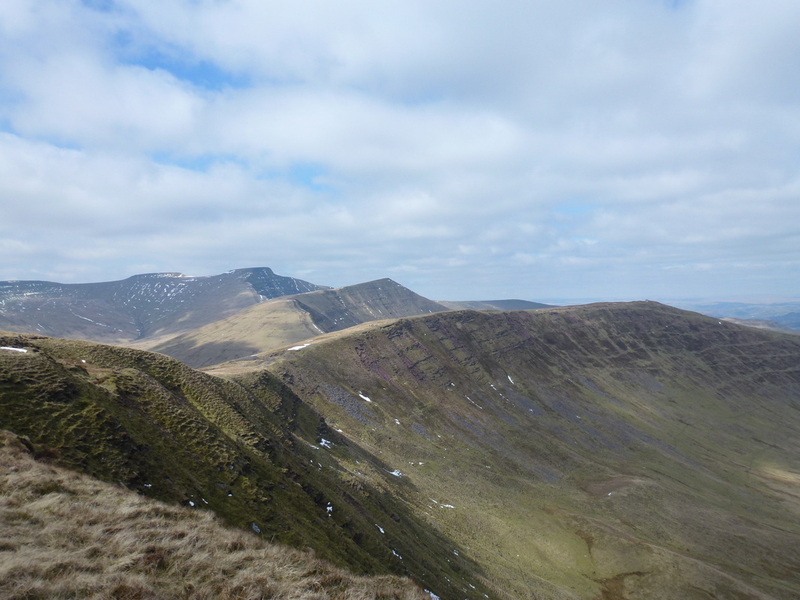 From Fan y Big there was a steep descent to the col at Bwlch ar y Fan before another short steep ascent to the ridge of Craig cwm Cynwyn that leads directly to the summit of Cribyn. 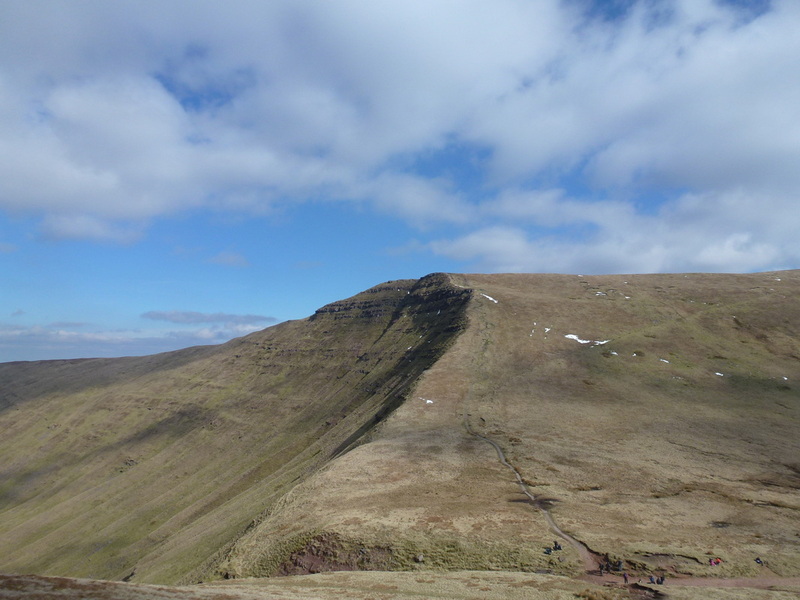 From the summit, it is worth looking down to the north east to Bryn Teg to see the steepness of both the climb and descent via this route - I have done it a few times and it is a super way to climb Cribyn. 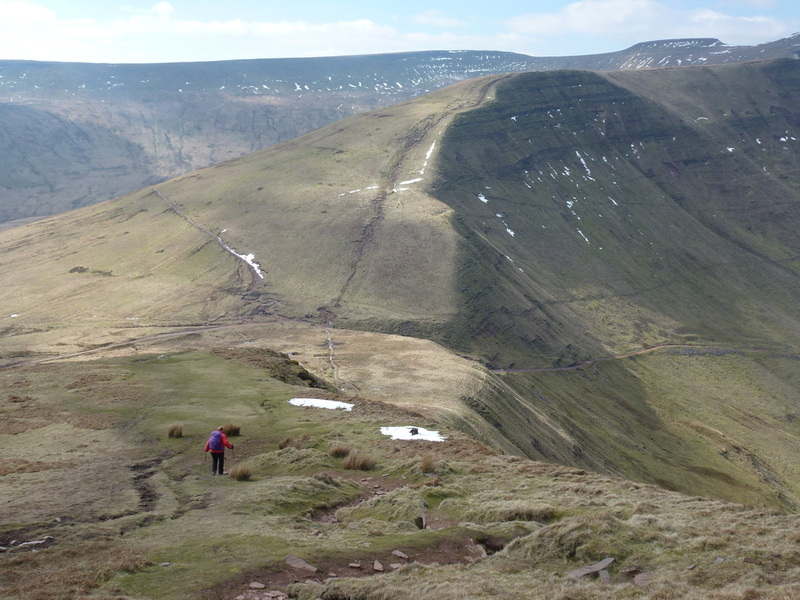 Leaving Cribyn there was another steep descent off down to a col before a long and steep ascent up Craig Cwm Sere. 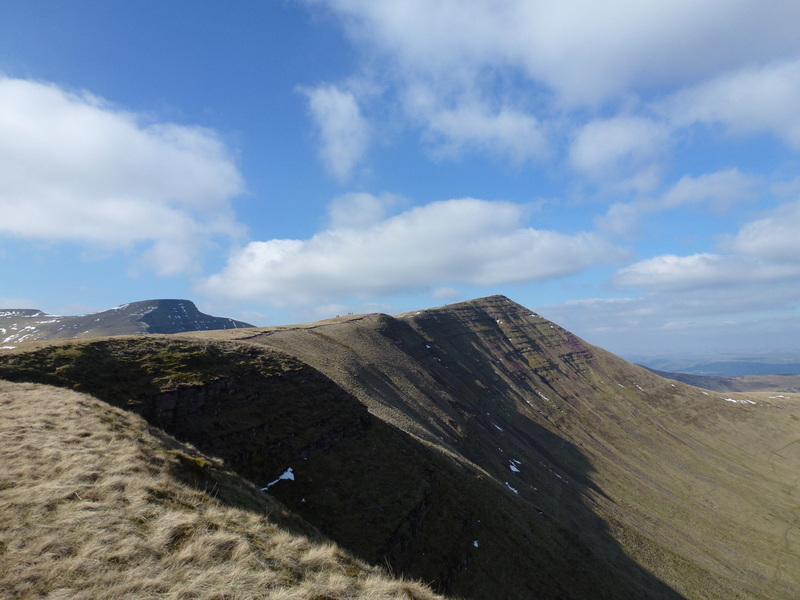 This is a long trudge up to the summit but it is worth taking your time over in order to look back to Cribyn and also down the valley to the left towards the Neuadd Reservoir and beyond to Pontsticill. 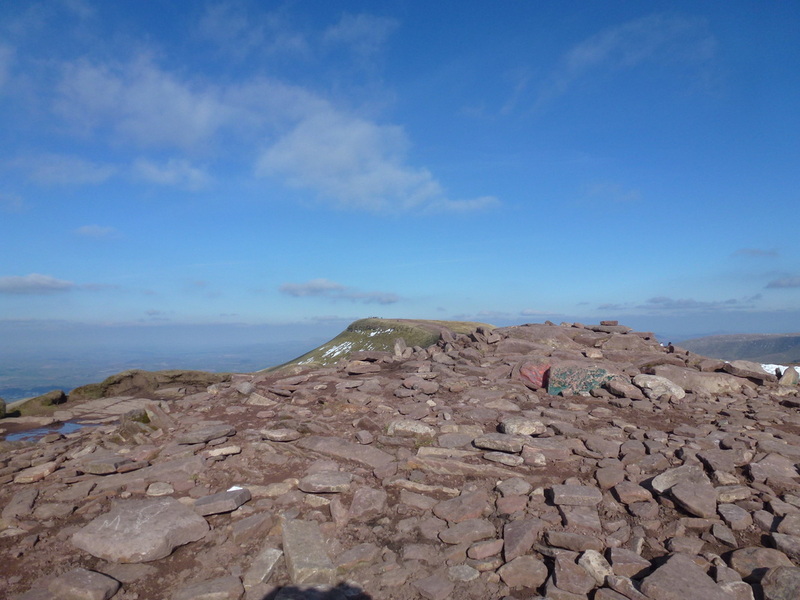 Reaching the top of the incline, the summit plateau is reached and we made our way to the top where they were giving away free beer - that's what it felt like judging by how many people were crowded around the Cairn. 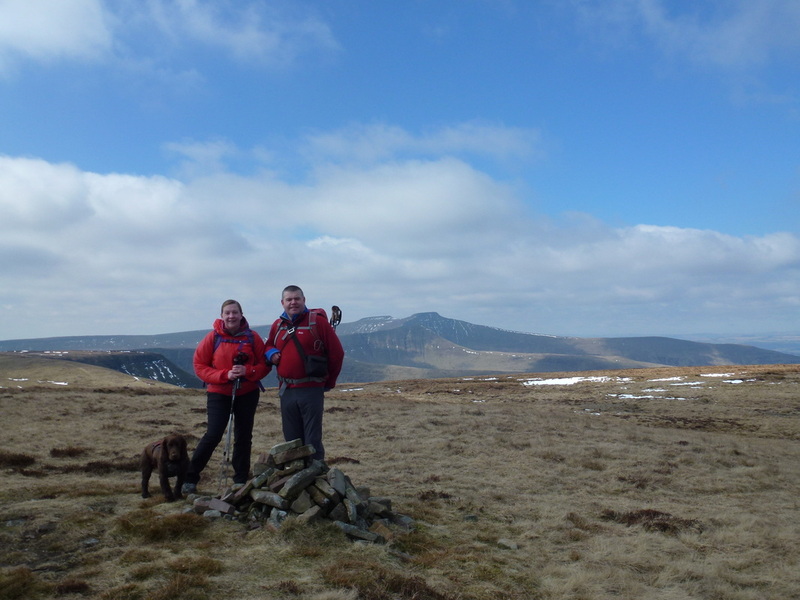 We had a quick break, couple of photos when the summit was finally free and left for the easy transit over to Corn Du - again there are fantastic views from here down Cwm Llwch and to Llyn Cwm Llwch. 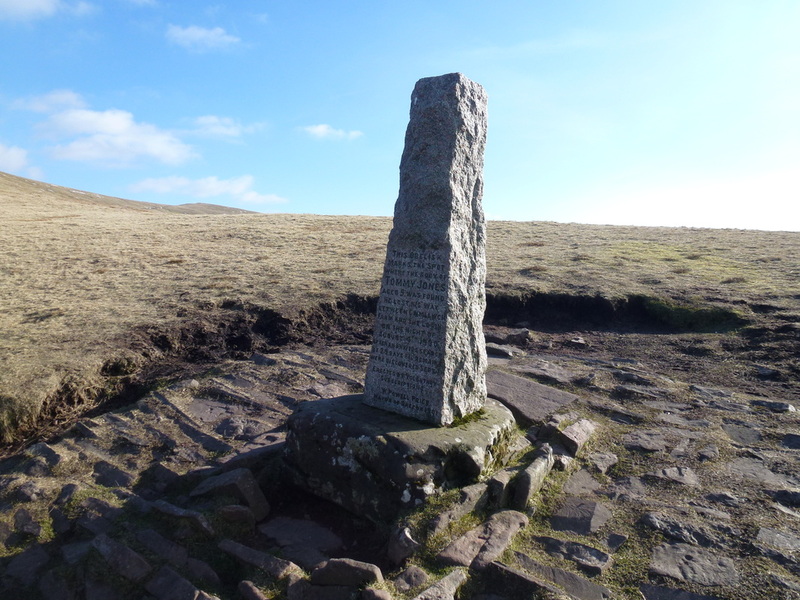 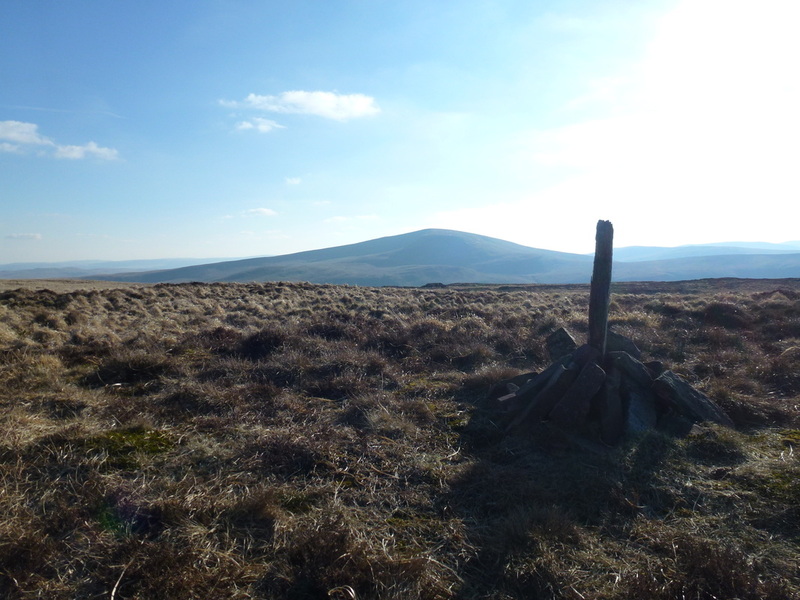 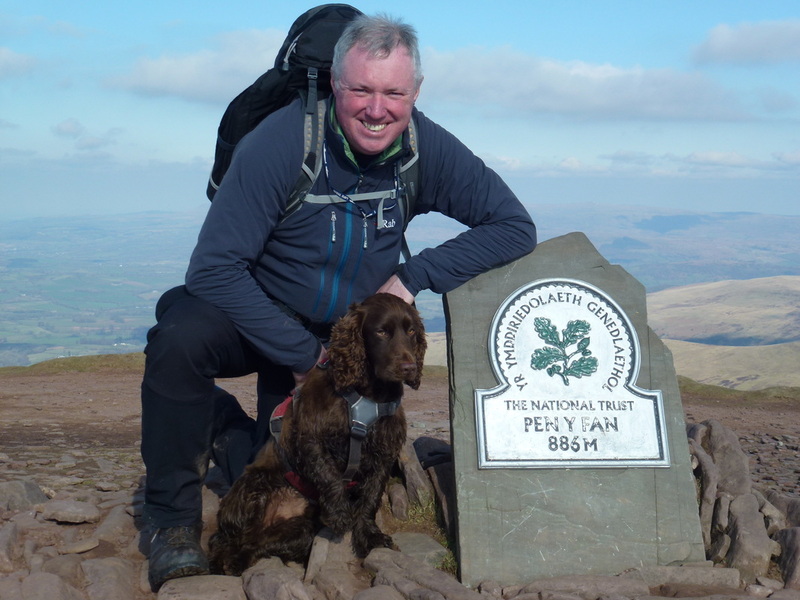 We had cracked 7 Nuttalls and had one left - it was one that none of us had been to before and we made our way steeply at first off Corn Du, past the memorial obelisk to Tommy Jones (story here) and on to a good path which led us to the summit of Y Gyrn. 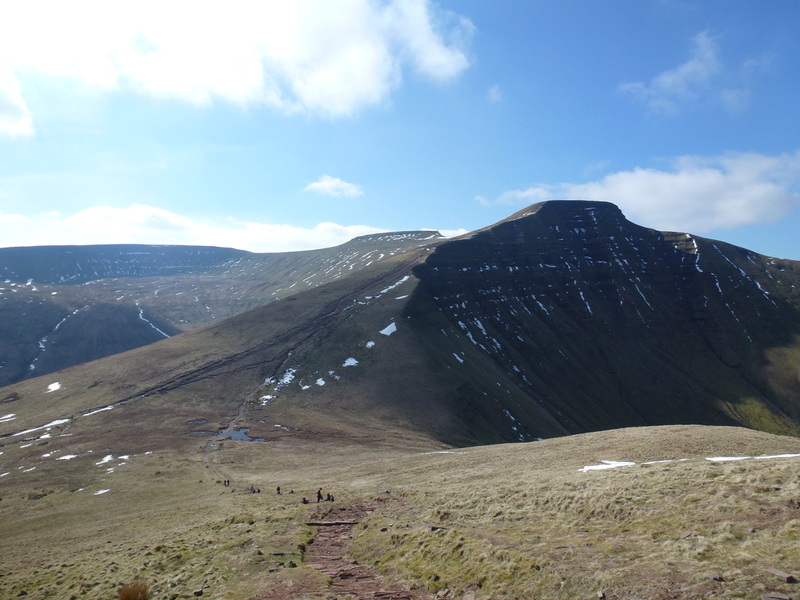 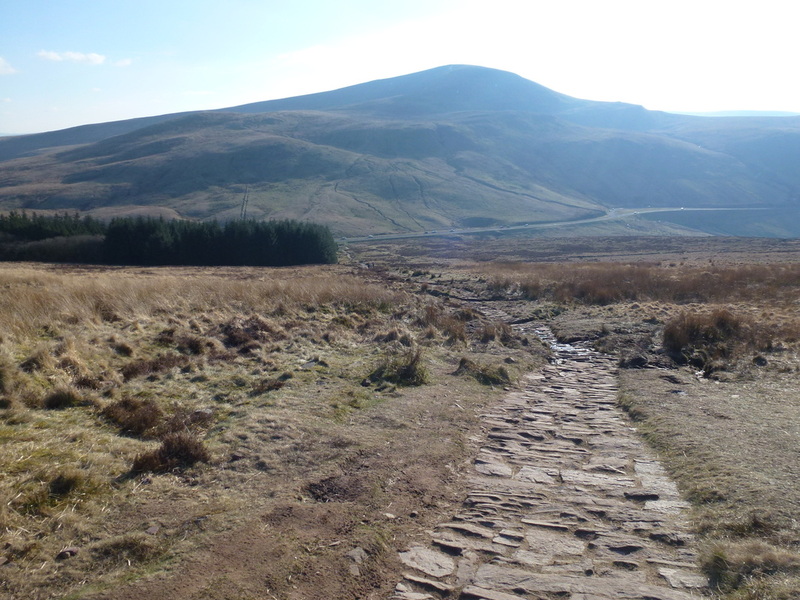 From here it was simply a matter of joining up with the popular path from Corn Du in order to reach the A470 & The Storey Arms. 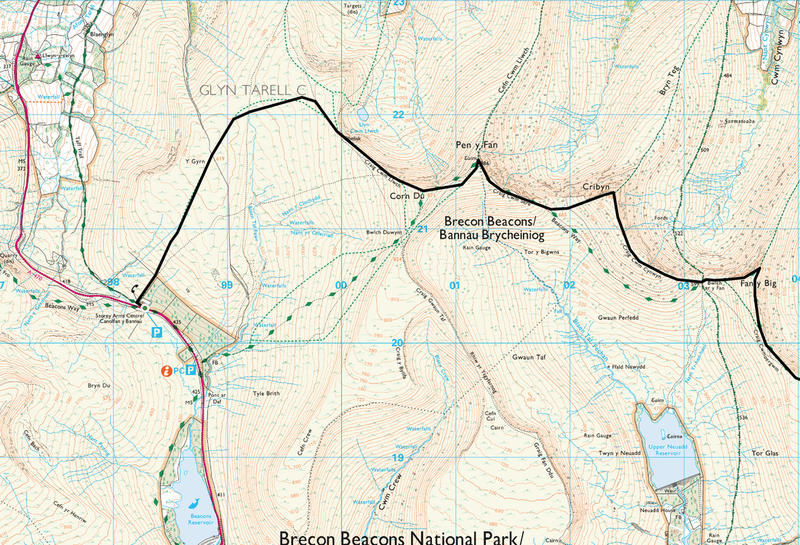 Whilst I have been up in this area more times than I care to remember, it was a great experience to walk a linear route from one side to the other covering this beautiful part of the Brecon Beacons. 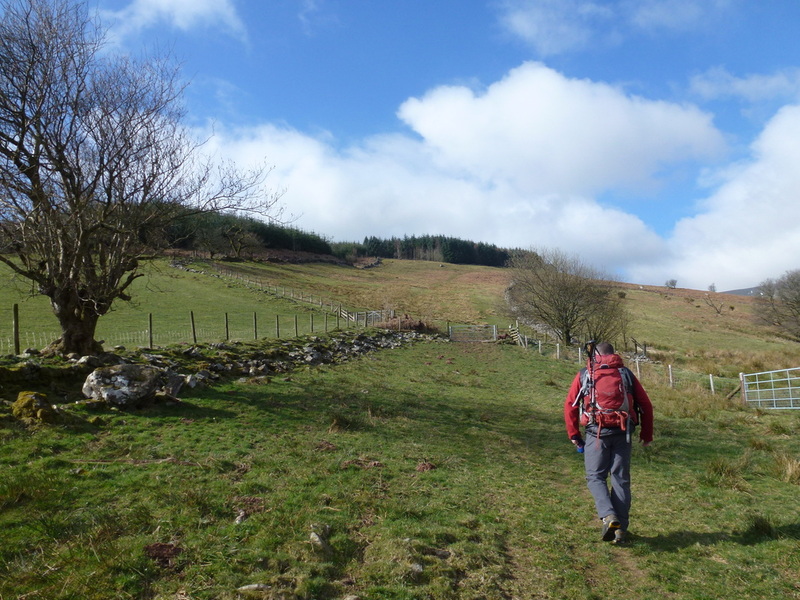 The edge of the wood saw us start the steep ascent of Allt Lwyd. 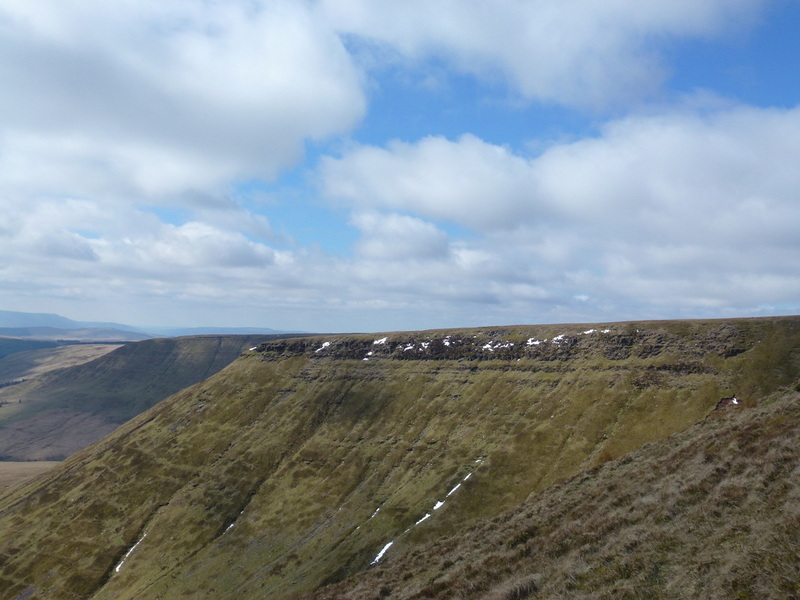 In the distance can be seen (l-r) Waun Fach, Pen y Gadair Fawr. 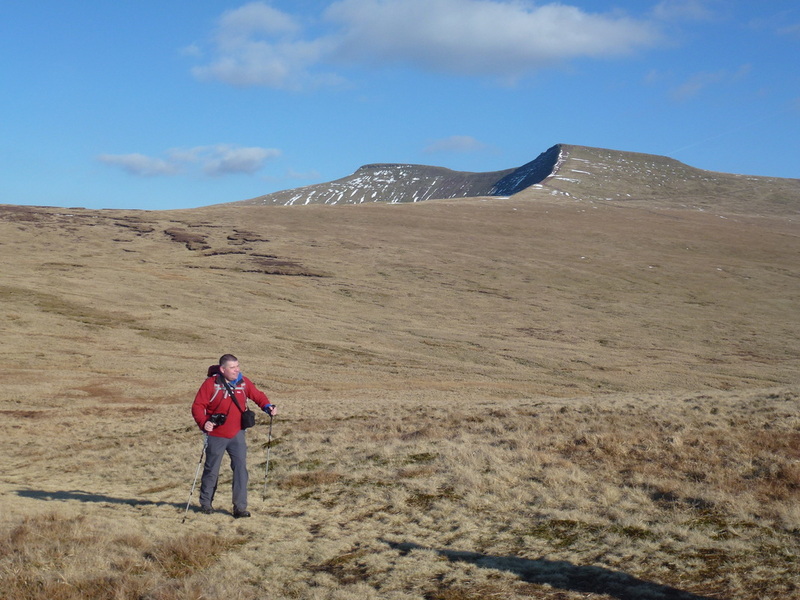 Pen Allt Mawr & Pen Cerrig calch. 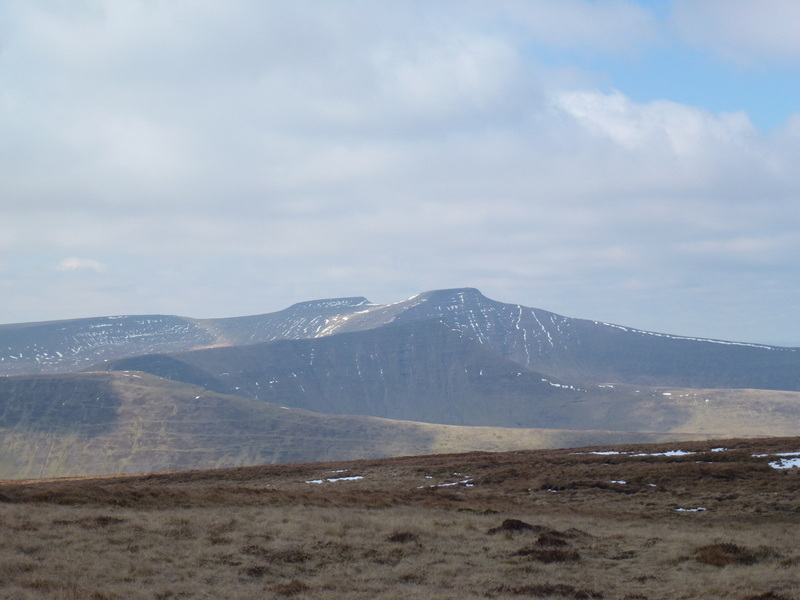 Sugar Loaf is to the right of Tor y Foel. 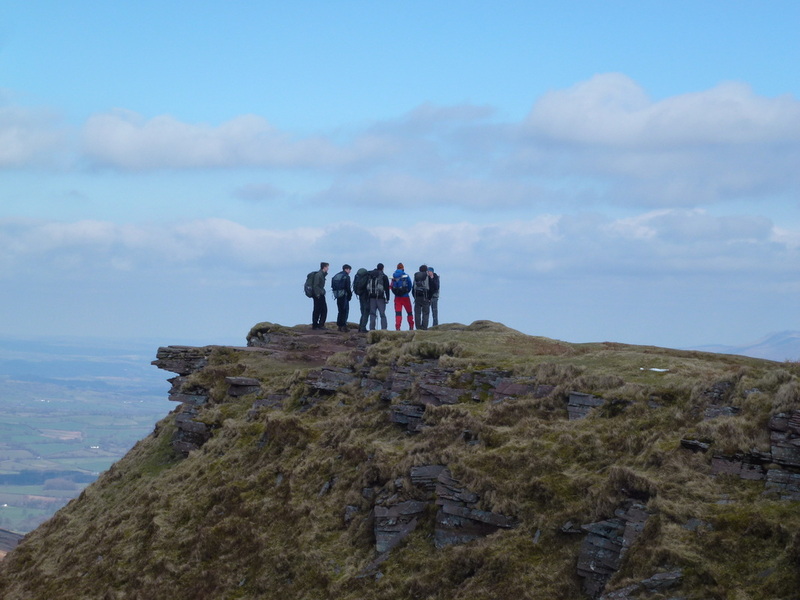 A DofE group having a "where are we" meeting on the summit of Fan y Big. 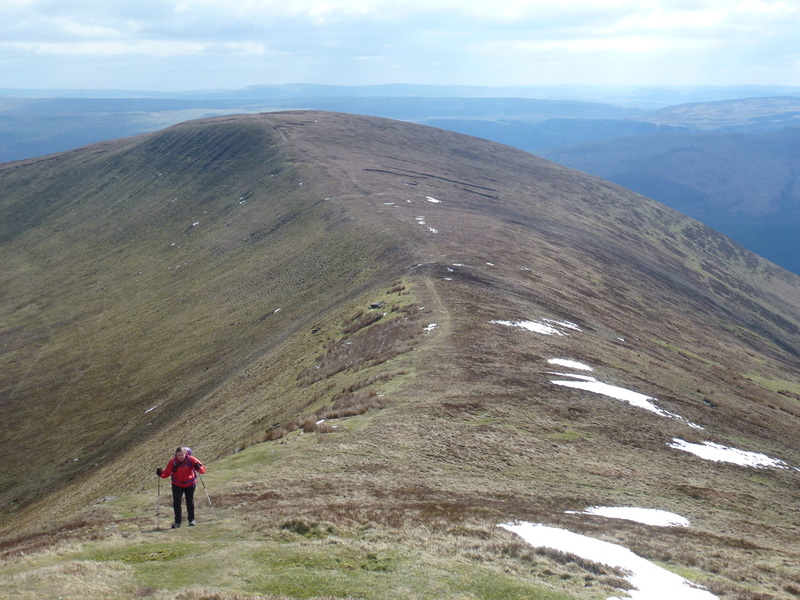 It was good to see young people out enjoying the mountains.